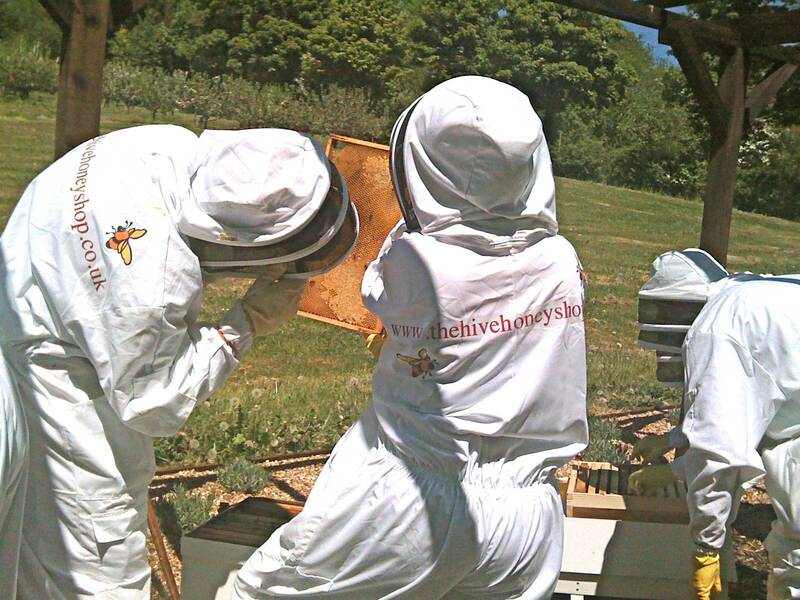 > Beekeeping Course Ends, Next one in July! What a great weekend! 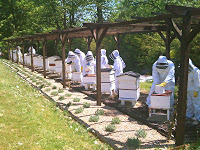 The weather was just glorious, hot sunny & dry-just perfect for The Hive Honey Shops open air beekeeping weekend course. Sat was off to a great start with a lovely student group of beekeeping enthusiasts. The food was catered by the Hives own chef -Ute throughout the day. Sunday was even better with the surprise appearance of a prime swarm! The students were introduced to the technique of hiving a swarm, finding the marked queen and putting it all to right. It was a really welcomed bonus to the days learning. All the students were able to open a hive, work it, and examine it in detail under the supervision of James, the head beekeeper. Ute provided an open air BBQ consisting of grilled salmon, honey glazed chicken, hamburgers, veggie burgers, grilled vegetables and iced cold drinks, which we really needed after getting out of our bee suits! The final fun came as we handed out The Hive Honey Shop’s Certificated of Beekeeping with a glass of bubbling Prosecco to toast the successful completion to the beekeeping weekend. Everyone had a wonderful time and many have contacted The Hive in preparation to setting up their first beehive next month. 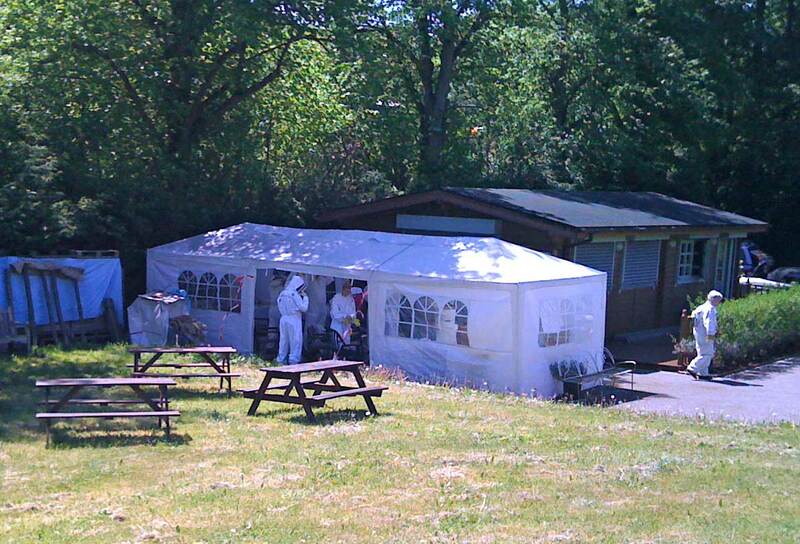 Our next and final beekeeping course for 2010 will be Sat & Sun, July 17th & 18th. Only 8 places left -so Book Now!